Import the video to PlayMemories Home. 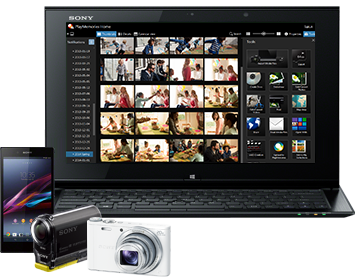 Select up to 4 videos and set up the layout. 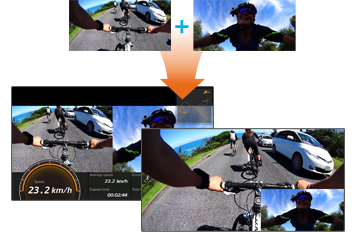 If you are using the Sony Action Cam, you can also display the GPS information such as speed, moving time, moving distance, and trajectory. The created multi-view file can be saved in other file, it can be easily published and shared on Web.